Nowadays the world is rapidly changing especially in working life, society and information technology. Process of learning will be more effective when the students are being exposed to the real working condition by practically applying their professional knowledge and also the skills that they had learned. Therefore, it is important to foster students, professional learning and integrate the theoretical knowledge in practice during education. 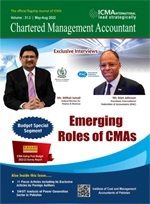 Keeping in view the importance of such professional competencies, ICMA Pakistan introduced Professional Competence Level [practical training] in the current Education Scheme [Syllabus 2012] for all the students to get the professional knowledge, skills, values and attitude to meet the challenges in their practical life. The students, who have passed / exempted all courses up to Managerial Level (Semester-4) examinations and have completed examination eligibility requirements of Semester-5 through coaching or DLP will be eligible to take admission in Professional Competence Level at Karachi, Lahore, Islamabad, Multan and Faisalabad or any other approved campus. The students, who are enrolled in any module in a particular session, must have attended at least 50% lectures of each field / sub-module in order to become eligible to appear in the CBEs / Assessments / Demonstrations of a module. 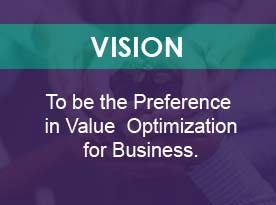 The Business Accounting module provides you the expertise into the areas of Enterprise Resource Planning (ERP), Reporting & Analysis tool and Auditing which enables the Learner to design and implement management information system, generate financial reports, perform financial & non-financial analysis and conduct auditing functions. This Module covers practical aspects of business reporting and organizational management which enhances the Expertise of the learner in corporate communication, presentation Skills, HR matters and team management skills to lead the organization.